Question 081: Salaams dear Sheikh. Does any of the Maraji’ allow permanent marriage with a person from the People of the Book, what is their ruling on the purity/impurity of such persons? Question 342: A/S. 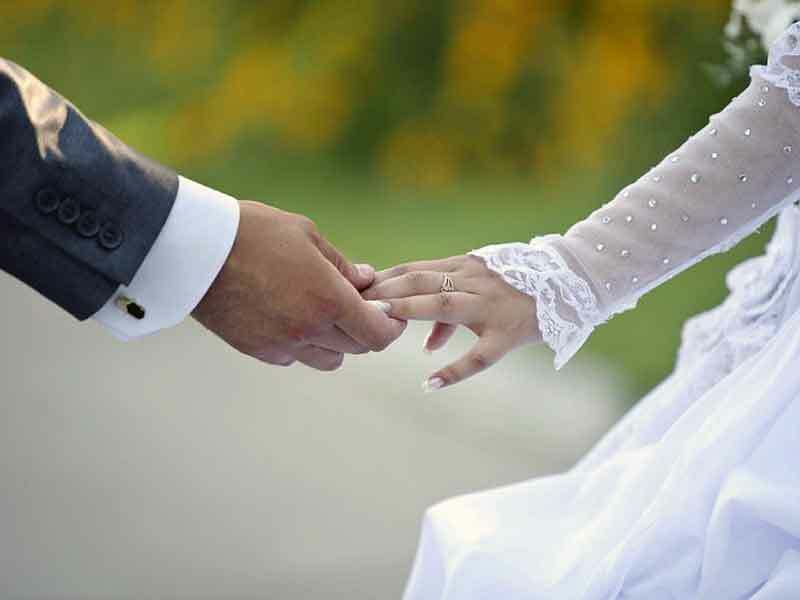 Is it permissible for a shia divorced woman to marry a non-Muslim. If she married a Catholic and she will not be deterred to practice her shia faith, is it allowed? 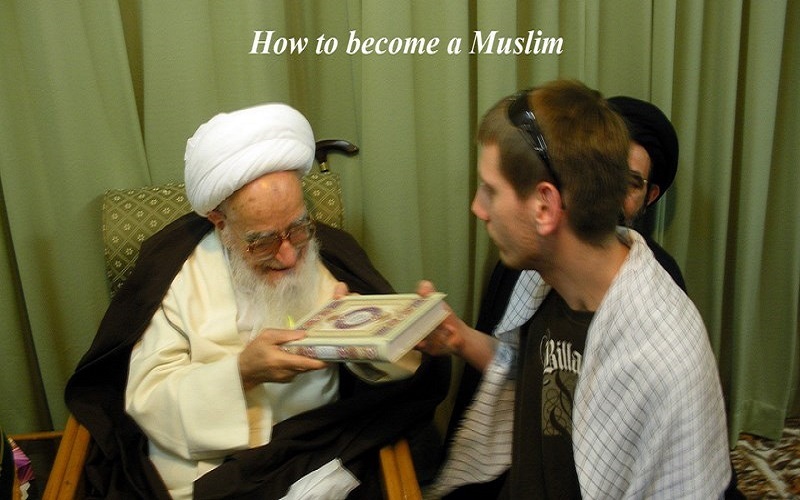 You think a Shia Muslim woman cannot marry a non-Muslim man? Answer 342: In the Holy Quran Allah (SWT) says: “… And do not give (believing women) in marriage to idolaters until they believe And certainly a believing servant is better than an idolater, even though he should please you These (idolaters) invite to the Fire And Allah invites to the garden and to forgiveness by His will And makes clear His communications to men, that they may be mindful”. According to all maraja’ (ha), as for a Muslim woman, she is not allowed to marry a non-Muslim man at all. In this regards, there is no difference in permanent or temporary marriage, weather the man allows her practicing Shia faith or not. 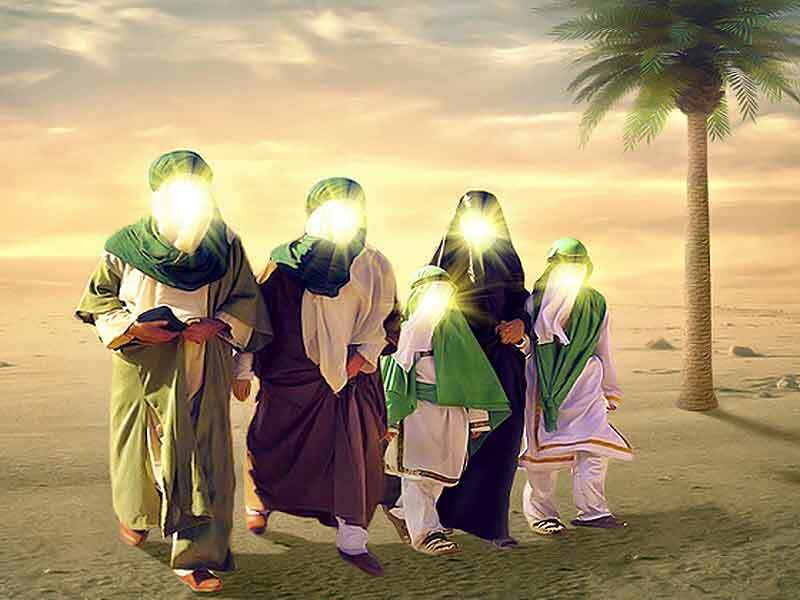 If a Muslim woman has realized that her husband is non-Muslim their marriage contract is void and she must separate from him.
 . Surah Baqara, verse 221.
 . Tahrir al-Wasilah of Imam Khomeini, Vol. 2, Pg. 254; Minhaju ‘s-Saliheen, vol. 2, Pgs. 263- 265; Ibid, Vol. 3, Pg. 67, Q 205; Tawzih al-Masael, Pg. 479, Q 2357; Ibid, 1381, Pg. 476, Q 2393; Istiftaat of Imam Khomeini, Vol. 3, Pg. 128, Q 131 & 132; In this regards, a question has been sent to the office of Grand maraja Ayatollahs Khameni, Sistani and Makarem Shirazi (ha). Question 125: How do I find a way to get rid myself of prejudice? Answer 125: 1. Since some people influenced by the belief that other are inferior because they belong to a particular race, color and tribe, Racism and Racial discrimination had existed among them before the Holy Prophet (P.B.U.H) and even during the time of the Prophet. When Hazrat Muhammad (P.B.U.H) sent on a mission as a Prophet, all racisms and prejudices has been condemned by Allah the Almighty. “Surely the most honorable of you with Allah is the one among you most careful (of his duty) Surely Allah is The Informed Owner of Knowledge.” Allah the Almighty said. 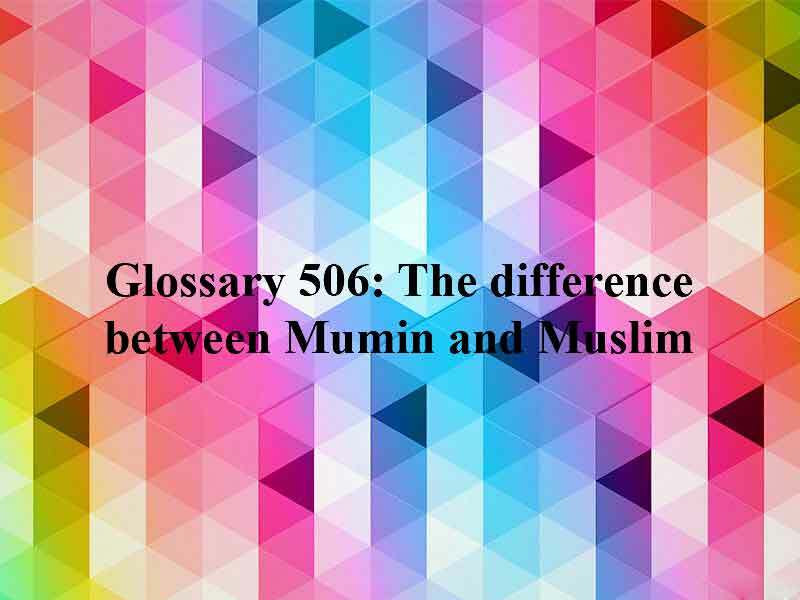 Therefore, nowadays if someone presented himself as a Muslim and a follower of the Islamic religion he/she must stop discriminating against others and avoid racisms and prejudices and then obey Allah’s orders without any delay. In addition, the one must knows that the criterion of the superiority over others is only based on the faith in Allah and fear of Him. Otherwise, they disobey Allah’s orders and thus the Islamic religion doesn’t approve their actions and manners. As a result they will punish in The Hereafter. It should be noted that Hazrat Adam and the Holy Prophet (P.B.U.H) had tawny skins. Also, Luqman Hakeem from Ethiopia was a black man with thick lip and Imam Jawad (a.s) had a dark-colored skin. 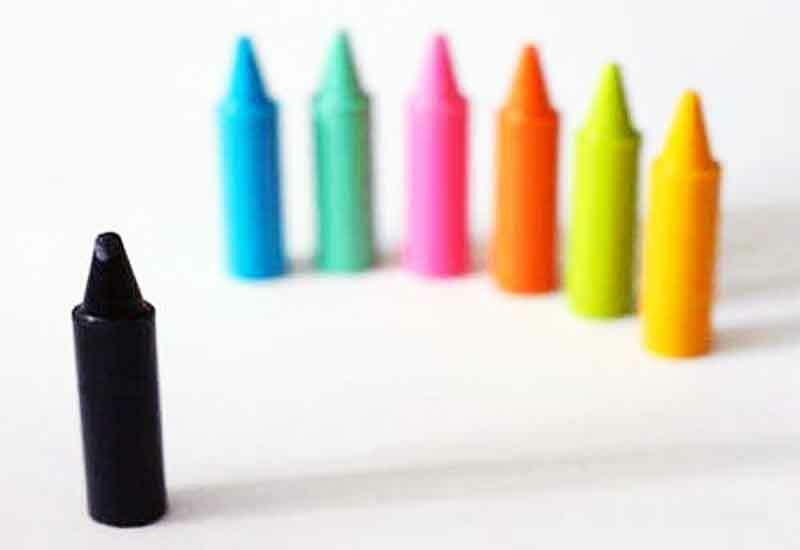 Therefore, color skin cannot be the criterion of the superiority over others and give us the privilege in our life including our marriage to make it a distinction between us and people. The first important thing we should take into consideration and concern about in our life especially marriage is the piety, faith and moral. Which means our joint life can be desirable and beautiful if we try our best to be concerned about our faith, piety and moral in every aspect of our life. However, there are many people with white faces who couldn’t bring happiness and prosperity for their wives, but make their life full of angry instead. In other hand, there are many black men with their faith and good moral who made their wives’ life so pleasant and provided the opportunity in which they can reach their wish, happiness and prosperity as well. Index: Prophet Noah cursed Blacks (as) / The Story of Noah’s Sons, answer 198.
 . «إِنَّ أَكْرَمَكُمْ عِنْدَ اللَّهِ أَتْقاكُمْ», Surah Hujorat, verse 13. Question 485: Assalamu alaikum! Could you please advise if wearing gold-plated (only surface of the watch is covered by gold dust) watch is halal or haram. Answer 485: According to maraja’, it is not permissible for men to adorn themselves with whatever is called gold irrespective of whether the gold is yellow or red or white. There is no objection in making the frame of gold for a watch, and keep it with oneself (while offering prayers). Khamenei (ha), if it is considered as gold it would be impermissible for men to wear it. Sistani (ha), there is no objection in it. Safi Golpayegani (ha), if it really contains gold it is impermissible. Note: If there is a little gold used in it that it is not considered to be gold in the common view (Urf), there would be no problem in wearing it. 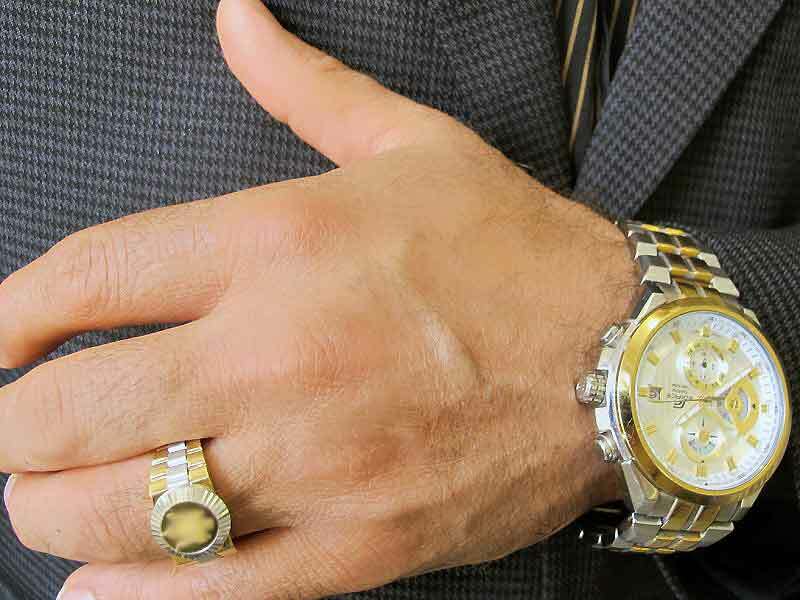 Regarding other metal, if it is known through checking a metal with an expert that it is white gold, it is haram (forbidden) for men to wear it. As for wearing silver, there is no problem in wearing it. If a metal is called white gold, it is in fact the yellow gold which becomes white when a white metal is blended with it; therefore it is haram. In case, however, there is so little gold in it that it is not considered to be gold in the common view, there is no problem in wearing it. As for wearing platinum, there is also no objection in wearing it. Silk: The garment of men, while offering prayers, should not be made of pure silk, rather it is not lawful for men even when they are not offering prayers, although, according to the more cautious opinion, it is something which alone is not sufficient for offering prayer, as a waistband or a cap or the like. Pure silk also includes what is made of raw silk, such as a waistband or a cap or the like. Pure silk also includes what is made of raw silk, though it is permitted for women, even when offering prayers, and for men in the event of necessity or war. What is for bidden for men is wearing garments made of silk, but there is no objection in making silken carpets or bed sheets and lie on them or blankets etc. and cover themselves with them when sleeping. So also there is no objection in stitching buttons of garments with silk, or decorate the garments with braids and laces made of silk, in the same way as it there is no objection in making the covers for wounds, abscesses and preventives for those suffering from incontinence of urine. Rather, there is no objection even in patching garments with silk or making the borders of the garments with silk, provided that they are not to the extent that they may be called silken, and in case of borders for garments, it is more cautious that they should not exceed four fingers when joined together in width. Rather it is more cautious to observe this measurement even in case of the patches of silk on the garments. If a person doubts whether a garment or ring is made of gold or anything else, it shall be permissible to wear them, and offer prayers wearing them.
 . Tawzih al-Masael of maraja’ (with annotation of Imam Khomeini) Vol. 2, Pg. 927, Issue 443.
 . Tahrir al-Wasila of Imam Khomeini (ra), Vol. 1, Pg. 168 (English version), issue 14; Tawzih al-Masael of maraja’ (with annotation of Imam Khomeini) Vol. 1, Pg. 462.
 . Ajwabat al-Istiftaat (in Farsi language), Pg. 90; Tawzih al-Masael of maraja’, Vol. 1, Pg. 140, Q 255.
 . Tahrir al-Wasilah of Imam Khomeini, Vol. 1, Pg. 169; Tawzih al-Masael of maraja, Issue 833, Ayatollah Fazel Lankarani (ra), Q 846.
 . Ajwebat al-Istiftaat (Farsi Answers to Religious Queries), pg.90, Tawzih al-Masail (with annotations by Imam Khomeini), vol.2, pg. 927, issue No.443.
 . Tahrir al-Wasilah of Imam Khomeini, Vol. 1, Pg. 169. Question 601: We would appreciate you sending us the new message of Supreme leader of the Islamic Revolution Ayatollah Sayyid Ali Khamenei (ha) issued on the occasion of the Muslim Hajj pilgrimage season? I.e. 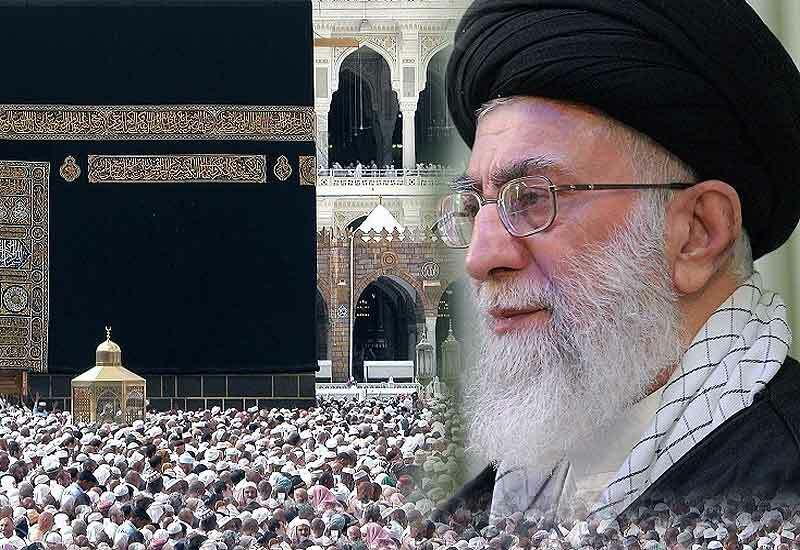 Ayatollah Khamenei’s Hajj 2017 message. Question 597: Salaamun Alaykum, Is offering prayer for the dead over one’s body who committed suicide permissible? What about reciting Surah Al Fatiha or Namaz e Wahshat for a those who committed suicide?